Rebecca Clements is an urban planning PhD candidate at the Melbourne School of Design, University of Melbourne, examining car parking policy in Japanese cities. 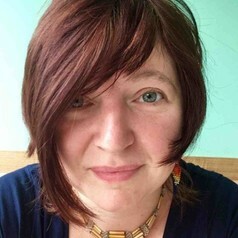 Her work more broadly focuses on transport justice and accessibility, as well as urban governance and social equity, particularly concerning the conflicts between urban transitions and car dominance, and the role of planning in inequality and public wealth. She has previously worked as a research assistant at the University of Melbourne on projects concerning affordable housing, disaster risk resilience and level crossing removal, as well as teaching in a range of areas from strategic and transport planning, urban history and transport politics. She also works as a cartoonist and illustrator.